Allied International Corporation is a leading purveyor of packaged foods with exceptional value and quality. In business for over 30 years, we offer over 400 SKU's under Allied’s own established brands such as Forrelli, Cambridge & Thames, American Valley and Smith & Johnson. Our products offer attractive and innovative packaging with an exceptional value. Attention to detail and quality has positioned Allied International Corporation as one of the leading quality food providers in various markets. Pricing is FOB Glen Burnie, MD. 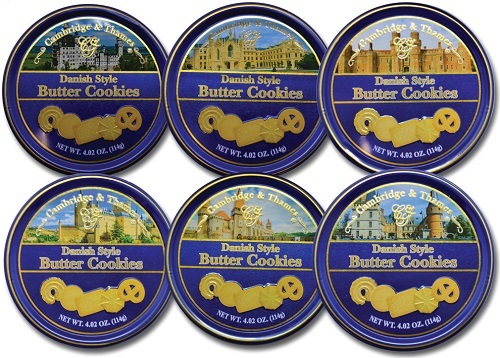 Each case has six assorted tin designs as shown.